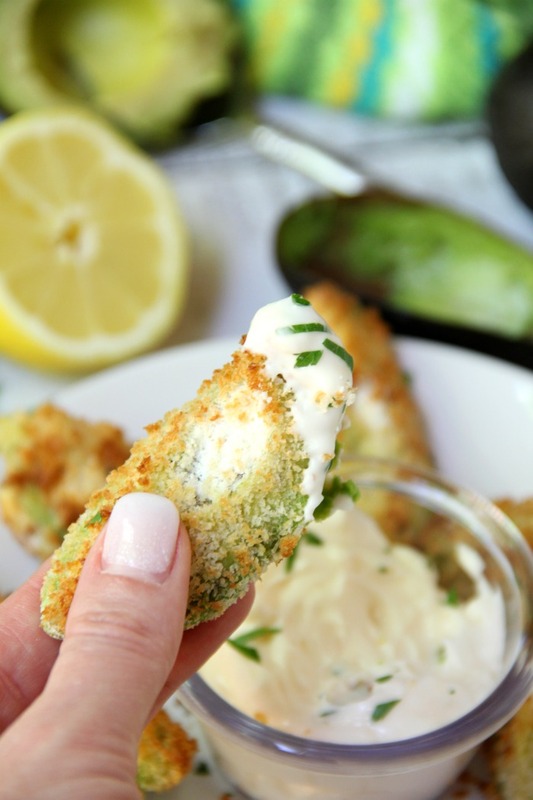 Air Fryer Avocado Wedges With Garlic Aioli Dipping Sauce – Perfectly golden and ready to eat in under 10 minutes, these crunchy avocado wedges are delicious when paired with this creamy garlic aioli dipping sauce! Every day I find more and more uses for my air fryer. 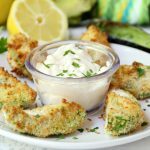 From chicken and potatoes to shrimp, and omelettes to pizza and Brussels sprouts, I’m finding you can cook just about anything in an air fryer! It’s not just for frozen food, friends! 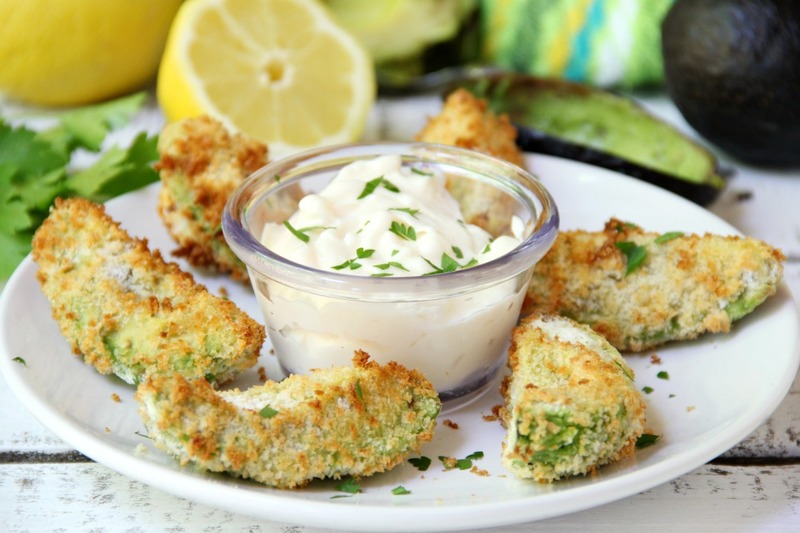 Today we’re making Air Fryer Avocado Wedges with Garlic Aioli Dipping Sauce. THESE wedges. . .they are delicious. I’m pretty sure it’s a combination between the crunchy crumb coating and the creamy, garlicky aioli sauce. Put the two together, and you have a delicious snack you can feel pretty good about! Dredge the wedges in a mixture of flour and garlic pepper. I’ve had a lot of readers ask me what garlic pepper is. Well, it’s a mixture of garlic and pepper in one seasoning shaker. If you don’t have access to garlic pepper where you live, just use a combination of pepper and garlic powder. Coat them in Panko crumbs. 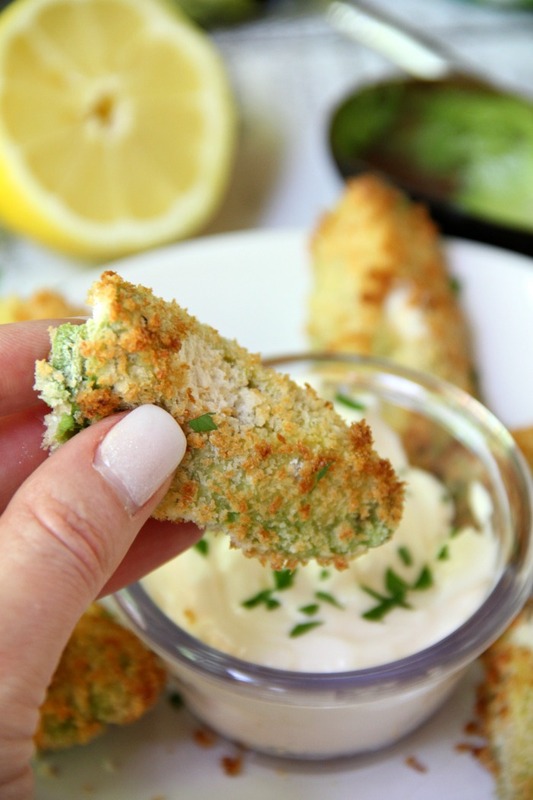 Place the wedges one by one into your air fryer basket. Don’t forget to spray the basket with nonstick spray before putting them in and then spray the wedges once more before you start to cook them. Take care not to crowd the wedges. If you decide to double the ingredients, still only make about eight wedges at a time. While the avocado wedges are cooking, start making your aioli dipping sauce. Only four ingredients! Mayo, lemon juice, salt and crushed garlic. It’s the perfect companion to the avocado wedges, trust me. I’m pretty head over heels in love with garlic anything. You, too? The finished product is pretty dreamy. In fact, at one point, he yelled across the room, “Are you done taking pictures yet?” He knows that when the photo shoot is finished, the food is fair game. That’s when we started to dip. I dipped, he dipped, we dipped. The creamy aioli sauce is the ticket. And just so you know, the recipe makes MORE than enough dipping sauce to use later. I love drizzling it over potatoes or dipping a chicken sandwich in it. YUM. Now, if you don’t have an air fryer and you’re still reading this post, it’s your lucky day. 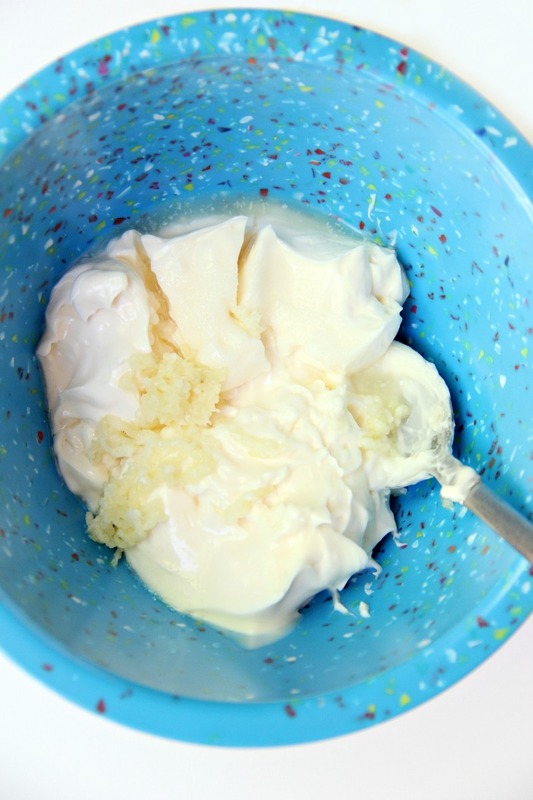 I’ve included oven instructions on the recipe card (under the Notes section) so you can whip up this recipe without an air fryer. In my opinion, an air fryer is just so quick and hassle-free. There’s less babysitting you need to do, and clean up is much easier than having to scrub a baking pan. If you’ve been thinking about getting an air fryer or have one and it’s still sitting in the box, it’s time to experience what it can do. You’re going to love the food that comes out of it. I promise! 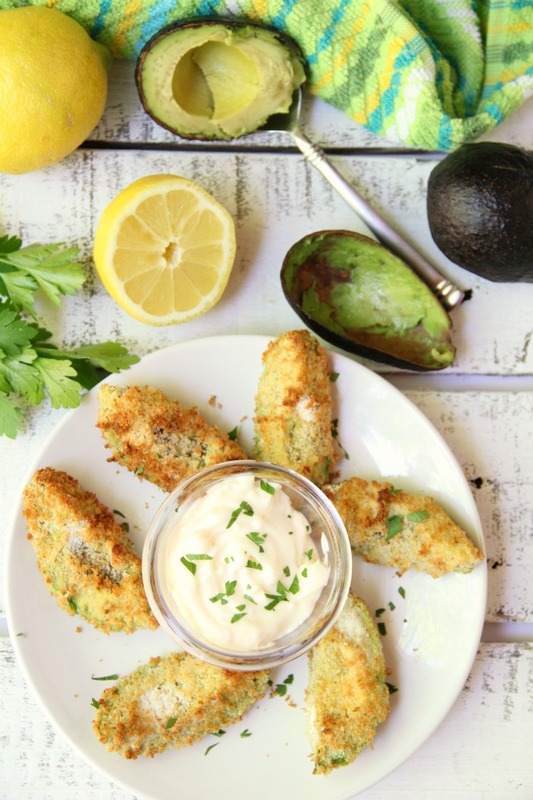 Perfectly golden and ready to eat in under 10 minutes, these crunchy avocado wedges are delicious when paired with this creamy garlic aioli dipping sauce! 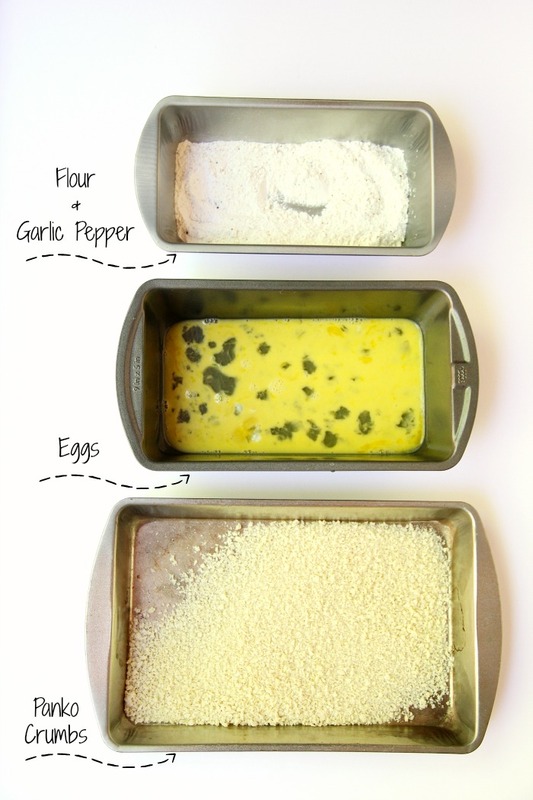 Combine flour and garlic pepper in shallow baking pan. Place Panko crumbs in a third shallow dish. 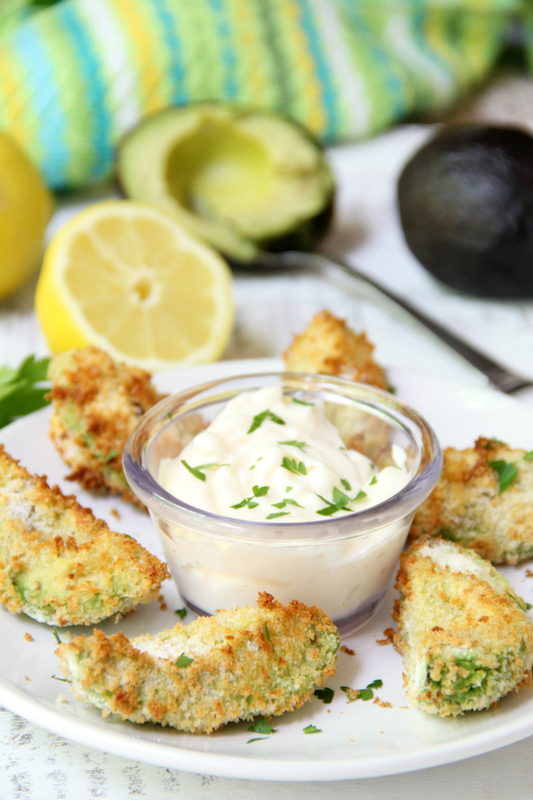 Dredge avocado wedges in flour mixture, eggs and then Panko crumbs. Apply non-stick cooking spray to air fryer basket. 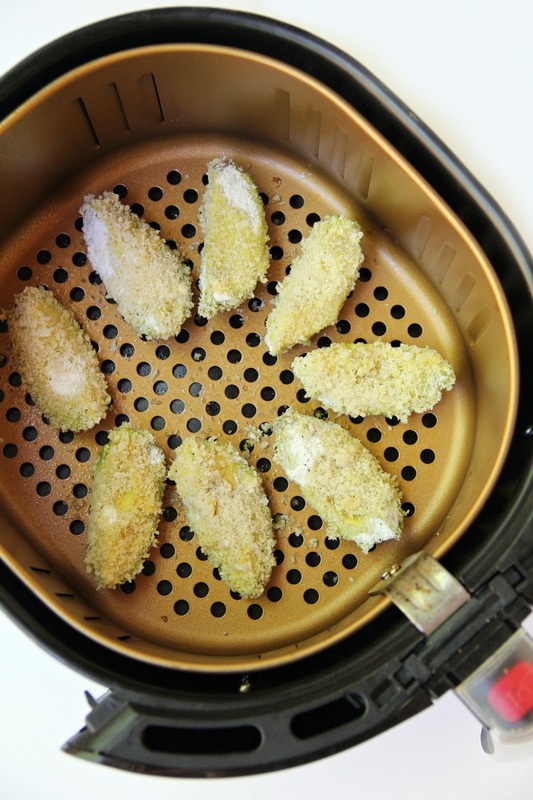 Place avocado wedges in air fryer basket. 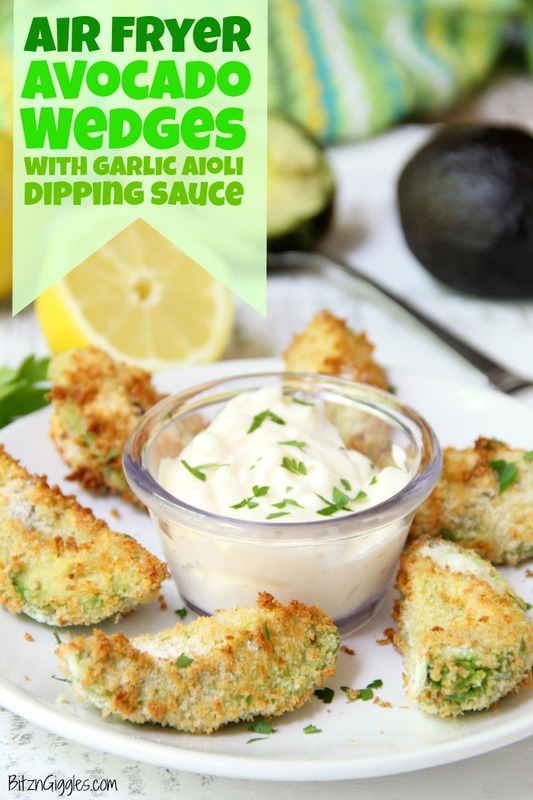 Spray avocado wedges with non-stick cooking spray. Cook at 400º Fahrenheit for 7-8 minutes, flipping wedges halfway through cooking. As wedges cook, whisk together mayo, lemon juice, salt and garlic in a small bowl. 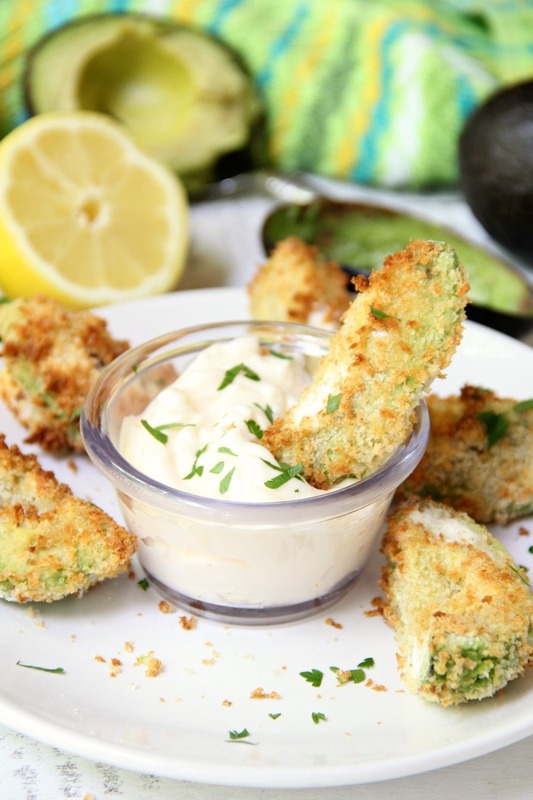 Serve 2 avocado wedges per person. If making wedges in an oven, put 1 tablespoon oil in a baking pan and place wedges on top. Drizzle one more tablespoon oil over wedges and bake for 15 minutes at 400º Fahrenheit.